Ditch the worksheets and have some fun! 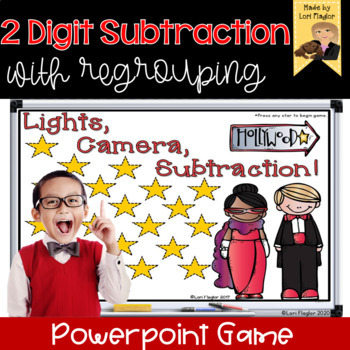 Your class is going to love practicing 2 digit subtraction with regrouping with this Interactive math game! I have had so many requests for more of these games this one is sure to please as well! This game is made in powerpoint and will work on your Smartboard or Promethian boards. To play this game you can assign your children into up to 4 groups or have children solve answers independently on paper or a whiteboard. Play begins when a star is picked from the game board. 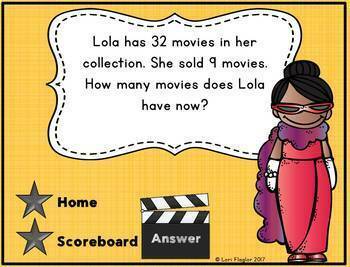 The children will then solve the math problem that appears. 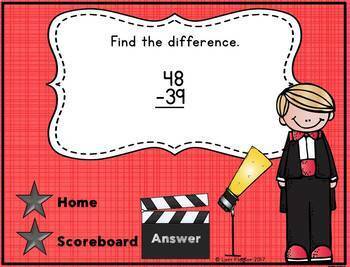 Children can check their answer by clicking on the answer on every page. There are 20 problems in all. A scoreboard is provided if you want to keep score. Please take a look at the preview to see a sample of the game. 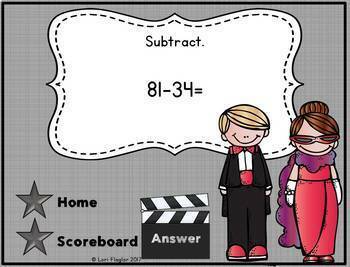 If you like this product click here to see my 2 Digit Subtraction with Regrouping worksheets! Please click on the star above and follow me to be notified of new Interactive games, sales, new products, and freebies.